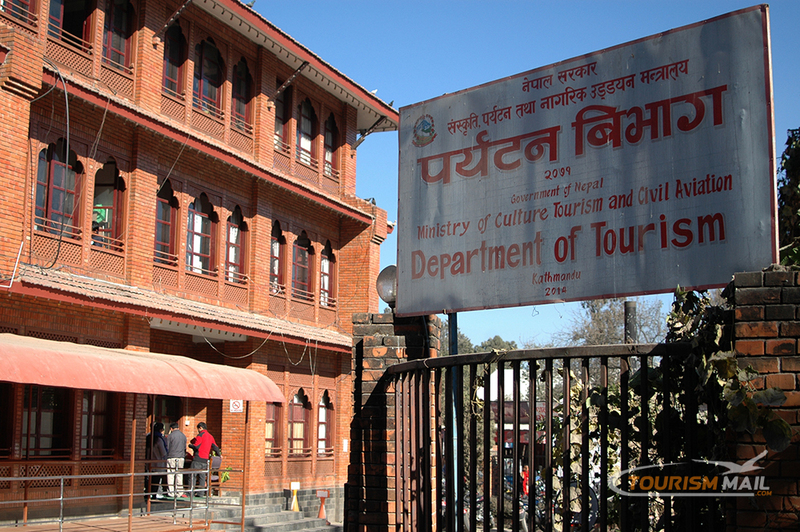 KATHMANDU, Feb 26: The Tourism Department has instructed hotels, resorts, and restaurants of Nepal to conduct Initial Environmental Examination (IEE) and Environmental Impact Assessment (EIA) to assess their impact on the environment. 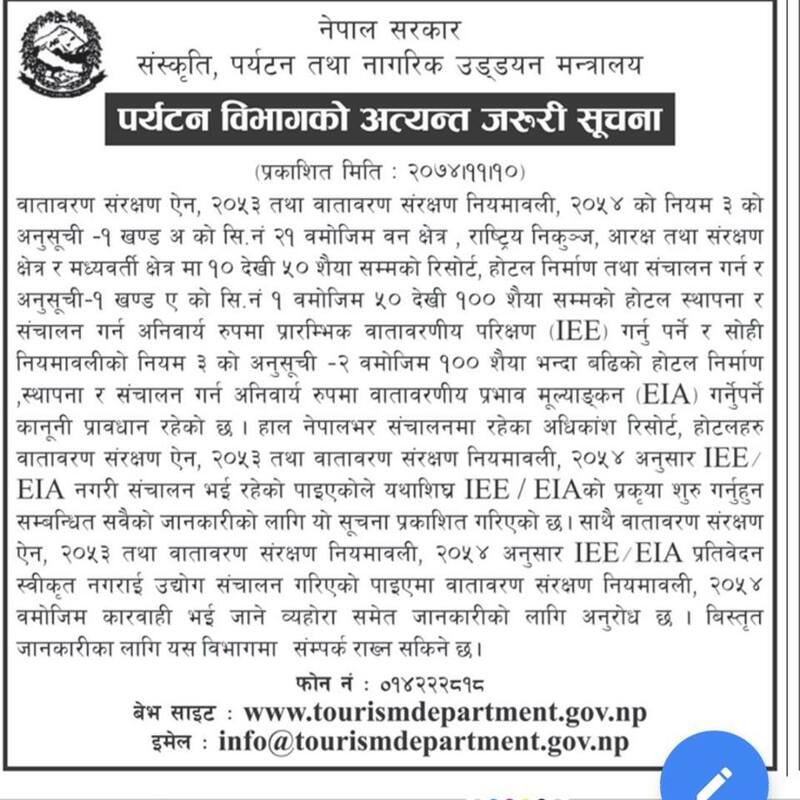 The department produced this notice due to concerns that hotels and resorts operating in Nepal have not been compliant to the Environment Conservation Act 2053 and Environment Conservation Manual 2054. The Environment Conservation Manual 2054 makes businesses which have not conducted IEE and EIA liable for government action. Newly constructed hotels and resorts must compulsorily conduct the IEE and EIA. Hotels and resorts with 10-50 beds that are constructed around forest regions, national parks, and conservation areas, have to pass an IEE application as per Rule 3 Schedule 1 of the Environment Conservation Act 2053 and Environment Conservation Manual 2054. Establishments with over 100 beds have to pass an EIA application as per Schedule.